Sometimes you gotta just go all in. Here’s a toast for the days when you really need to indulge. Like Friday. Or Saturday. Okay let’s be honest, you’re probably going to want to eat this every day. 1. Spread Nutella on one half of toast. 2. Spread peanut butter on the other half. 3. 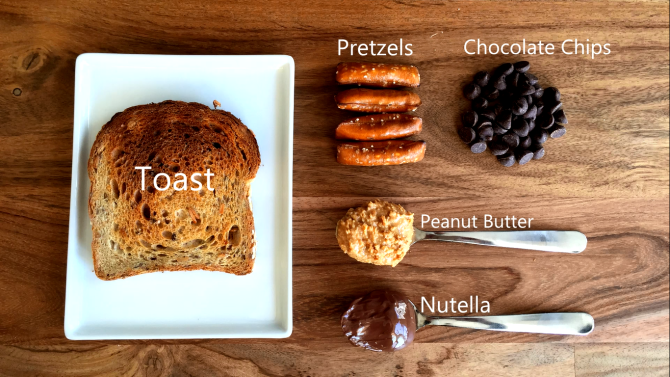 Crush pretzels and sprinkle over toast. 4. Drop chocolate chips evenly over toast.